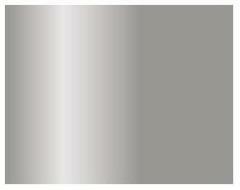 Metal Color is a new range of water-based metallic colors, especially designed for airbrushing. In the development of these new and innovative metallic colors, the latest generation of aluminum pigments has been used in a specifically designed formula which results in a series of colors of exceptional resistance and adherence to plastics and metal. Metal Color can be applied directly on models without the need for the use of a primer, although in the case of fuselages and components for airplane models it is recommended to first apply a glossy black primer to bring forth the unique and special quality of the aluminum finish.